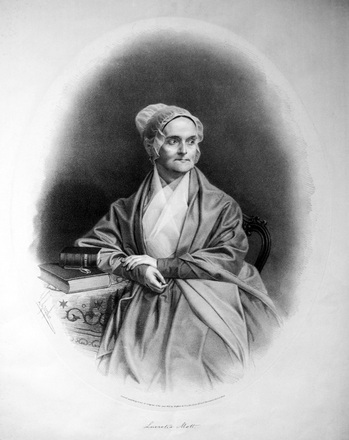 Lucretia Mott "Deeds Not Words"
The Quaker minister Lucretia Mott (1793-1880) fought for the rights of women and of African Americans. A mother of six, Mott traveled and preached throughout the Eastern United States in front of both Black and White, both male and female organizations. She helped found the Philadelphia Female Anti-Slavery Society and attended the World’s Anti-Slavery Convention in 1840. Together with twenty-five year old Elizabeth Stanton, Mott organized the first women’s rights convention held in Seneca Falls, New York in 1848. Here is a video of the honorable senator from New York Hilary Clinton’s speech on August 26, 2008, honoring Mott, Stanton, and the other women who fought for their rights.